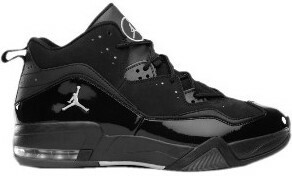 Jordan Shoes Fans, here’s another treat for you and you should not miss this one! The Jordan Brand are set to make noise again this month with the release of two new colourways of the Jordan PTP’er this February. Wondering what “PTP’er” means? It is “Prime Time Players”. Yes you read it right “Prime Time Players”! Living up to its name the Jordan PTP’er is primarily made for ballers who are looking to enhance their game to reach “Prime Time” status. 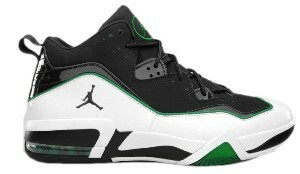 Featuring a visible air in the heel that is enhanced with sharp lines, the Jordan PTP’er will come out in Black/Black-Victory Green-White and Black/Metallic Silver-Dark Shadow this month, and both editions are absolutely stunning. So don’t dare miss it because you’ll definitely regret it!